Envelopes are a key tool in communicating with customers. 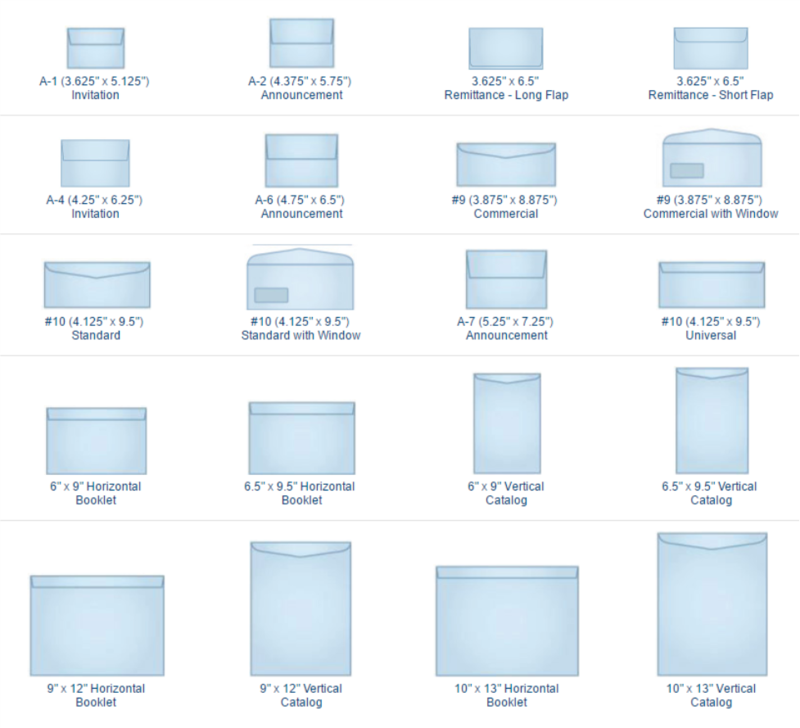 Our standard envelopes come in multiple sizes, so you can select the correct type for your mailing. Window envelopes are excellent for billing and invoicing, or where you want information from the insert to show through, for a professional look. Our envelopes come in the same stock as our letterhead. High-quality, full-color offset and digital printing available on 70 lb. Offset Opaque Smooth White and in various sizes. Full-bleed printing available on the outside for full-color panels and flaps. 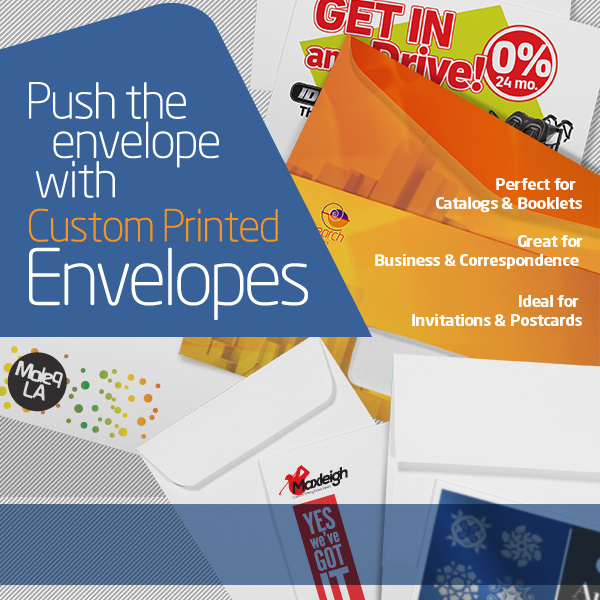 Envelopes are Laser and InkJet compatible (excludes envelopes with windows).